Wheel and tire cleaning is just as important as cleaning the rest of the vehicle, which is why it’s so important to choose car wash equipment that can constantly perform at extremely high quality. 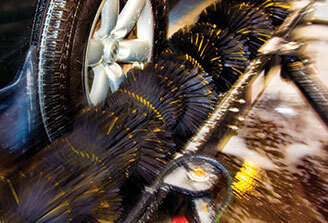 At MacNeil, there are a number of wheel and tire cleaning products to help take your car wash to the next level. Let us help you provide excellent results every single time your customers come through. No other wheel-cleaning system has beat the unique challenges of wheel and tire cleaning like Wheel Boss. 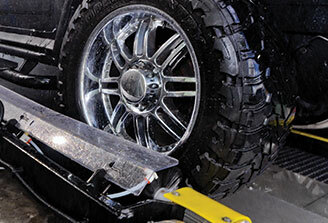 This all-in-one system gets in deep to scrub rims and tires to a sparkling clean that brings happy customers back. Don't get rubbed the wrong way. 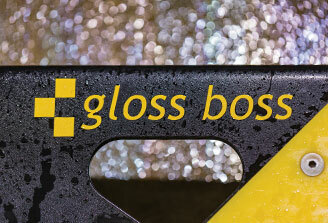 Gloss Boss takes a superior approach to messy, wasteful and expensive formula rub-on tire shining systems. 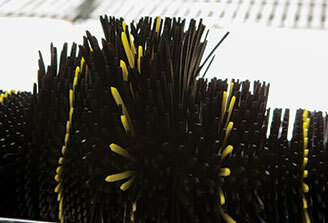 Its patented precision chemical-application system produces the shiniest tires with the lowest waste. You get thorough and accurate chemical coverage using MacNeil’s Chemical Tire Applicators, whether it's our standard or foaming model. Specifically made for tire cleaning jobs that are normally considered tough-to-clean, these applicators focus chemicals exactly where you need them using easily adjustable solution nozzles, eliminating expensive over spray and overlap. 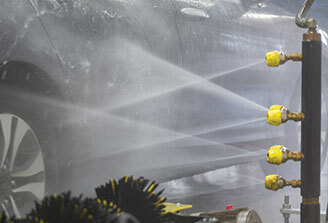 Our high-pressure Magnum Wheel Blasters add powerful wheel- and tire-cleaning performance to any tunnel in a minimal amount of space. Offered in three or six nozzle models, they reach deep into the tires, rims and wheel wells to blast away everything from ice to brake dust. Removes dirt and grime from the lower parts of the vehicle while taking care of your tire-cleaning needs in a downward pattern off-and-away from the vehicle for superb results every time. An easy, income-creating add-on to your in-bay automatic, the MacNeil Gloss Boss gets into all those hard-to-reach areas that other applicators miss. It's precise chemical-application system uses the lowest amount of chemical and reduces chemical sling. 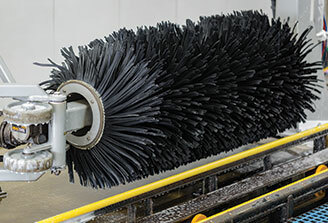 Differentiate your in-bay automatic operation from the competition’s by offering the very best wheel- and tire-cleaning equipment in the industry. Your customers will rave about how clean their wheels and rims are, and they will keep coming back. We’re committed to your success in the car wash industry. MacNeil is always here to help car wash owners succeed and grow. When you’re looking for top-quality parts and systems that are more affordable than ever, put MacNeil to the test and you’ll see exactly what we mean. From individual parts to whole tunnel systems, everything here is built to last. 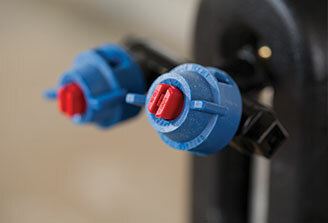 We stand by our product which is why MacNeil Wash systems is the industry leader when it comes to car wash systems.